Rather appropriately, with all the murk swirling around Trump’s ties to the Commies, Judith Curry and John Christy are looking for new sources of income suggesting that Congress fund “red teams” to investigate “natural” causes of global warming and challenge the findings of the United Nations’ climate science panel according to the WaPo. 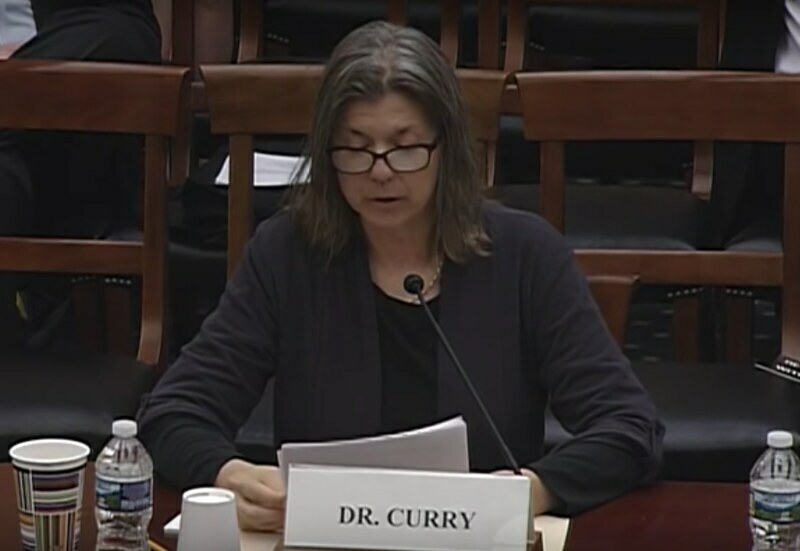 In case you’re in the slightest doubt about where La Curry was aiming her testimony, she concludes Let’s make scientific debate about climate change great again. FFS. 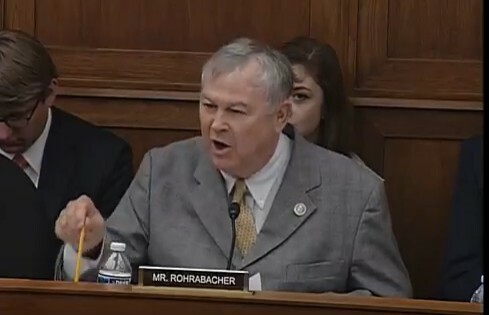 This, in case you’ve been asleep, is all in the context of the House Committee on un-American Climatology aka Full Committee Hearing- Climate Science: Assumptions, Policy Implications, and the Scientific Method. * I realized that the premature consensus on human-caused climate change was harming scientific progress because of the questions that don’t get asked and the investigations that aren’t madeand yet she is rather short of ideas about things to investigate. Like the denialists, she knows that she doesn’t like the IPCC conclusions, but that’s about it. * As a result of my analyses that challenge the IPCC consensus, I have been publicly called a serial climate disinformer, anti-science, and a denier – this is dishonest, and from the std.septic playbook. The truth is that she has many any number of inaccurate or unsupported statements, and wild allegations about people who should be her colleagues. That is what people have attacked. See Judith Curry WTF? and links therein, which helpfully provides my title image, too. * A scientist’s job is to continually challenge their own biases and ask “How could I be wrong?” – but obviously this only applies to other scientists; not to Curry or Christy. At least, I can’t find any reflection of that sort in her testimony. * As usual, her only real contribution is “things are more uncertain than we think”. And this might be true (how certain are we of our uncertainty, after all). But the clear implication of her testimony is “and this means we don’t have to worry”. Her implication is that if we’re uncertain, we don’t need to worry about the impacts of GW; completely forgetting that (a) it could be worse, as easily as it could be better; and (b) if it is worse – in terms of temperature deviation from the expected mean – then the impacts increase non-linearly, so the overall effect of uncertainty is to increase, not decrease, the expected damages. Enough of Curry. What of Christy? I don’t think I have his testimony available. The WaPo reports him saying credible ‘red teams’ that look at issues such as… the huge benefits to society from affordable energy, carbon-based and otherwise,” said witness John Christy… “I would expect such a team would offer to Congress some very different conclusions regarding the human impacts on climate. Which is stupid. Your views on the benefits of fossil-based energy should not affect your conclusions on the impacts in the slightest1. I suppose I should discuss the “red teams” idea a bit. The idea isn’t to bring in the Commies, this is a different sort of red, though actually it is really the same sort of red. Try reading wiki if you’re confused. Anywaaay, where was I? Oh yes: why this is a stupid idea. Well to start with it isn’t necessarily totally stupid, unless it is being run by a group of ideologues with a fore-ordained conclusion for which they’re desperately searching for evidence. How likely is that? Secondly, this is language from a different area (the military; business) being imported into science. If it was being done by the pols, you could simply put it down to ignorance. That it is being done by scientists in an effort to sell their ideas to pols I think you put down to something rather different. But the military and business are areas with rigid hierarchies and enforced obedience and suppression of dissent2. C+C are trying to tell the pols that science is like that; and it isn’t. Science already provides all the internal red teams that it needs. Could the idea actually be of any use? In the present context, I think that’s doubtful. Suppose they did it anyway, what happens? Probably, C+C and their ilk get thrown some taxpayers money to attack their should-be-colleagues, which would be galling but minor in the great scheme of things. They would fail to do anything of scientific use, and that failure might ultimately be revealing, and therefore good. But in the meantime they get a platform to spout nonsense. Ah well, these are difficult times, you cannot expect to choose amongst different good outcomes. Finally, notice that the WaPo calls La Curry “professor emeritus” which AFAIK is wrong; she is simply ex. Anyone know for sure? Anyone got links to the testimony of Mann or Pielke? 2. At least, that’s my picture of the mils. I have had no experience of it since CCF3 whilst at school. I can assure you that dissent, and it’s expression, was not encouraged then. 3. Try http://www.berkhamstedschool.org/ccf-sixth. Though I did it in the not-really-voluntary phase, during middle school. And we didn’t get to carry guns much. * Curry can’t quite bring herself to say it, but she pretty well admits that Mann got the better of her. Astonishingly, she wants Steyn for backup. * AtTP has some comments which I’ve linked to, even though he has rudely ignored my post. It is interesting that he mostly liked Pielke’s testimony. * Toys, pram, out! – ATTP. * Team B, Red Teaming and Steve Koonin – Eli. * WHITE HOUSE CHIEF AXES RED TEAM EXERCISE – RS, 2018 / 03. Christy. Very buttoned-down and engineer like. Pielke. Looking a little round. I have heard of the idea of “red teams” critiquing proposals for satellite missions before they are submitted. The idea here is to look for potential weaknesses in the proposal and give the proposal team a chance to address those issues But the purpose of such red teams is not ideological; it is to maximize the chances that the proposal in question will be selected, and the effects on policy are at worst second order. That’s not what Curry and Christie are up to here. As you say, this “red team” is being formed by ideologues who are pushing an ideological agenda. Even in the military/political world, such red teams often produce bad outcomes; e.g., vastly overstating the capabilities of the Soviet Union in the 1970s and 1980s–the “blue team” assessments that the USSR’s military spending was bankrupting the country proved correct, and the result for the US was hundreds of billions of unnecessary military spending which could have been spent on things such as reducing US dependence on foreign oil (which would have had tremendous national security benefits as well as mitigating global warming). no doubt full reports and transcripts will emerge, as well as alt-news in the usual outlets…. wot, you went to Berko? Circa 1971 I worked briefly at t’mill across the road. But I digress. covers the show trial to the expected standard. Well, that certainly adds to the rogues gallery. Didn’t personally have anything to do with the school, though probably walked past it. Should have said t’mill was just across the canal, next to the bridge. Don’t know how much longer the architects’ office continued there, it was an outpost of a big London practice and by the end of the decade they were trying to replace us minions with those new-fangled computers. I’ve been curious as to how a government organisation could recruit a red team. How could they make a selection procedure to be sure that only the 3% get in? And then keep them on the straight and narrow? Remember BEST. The Chair was visibly glum at Mann’s grolloching of Christy’s graphic ITC trumpery, and Curry was reduced to seconding sensible Climate Science As We Know It. The idologically unbaggaged Mann is a lot more statesmanlike than he used to, or Sagan ever got to be. Sagan was pretty darn good. I think your past debates with Sagan on nuclear winter is clouding your judgement. Hey, but for the worries about EMP and nuclear autumn, Europe now would probably be even more radioactive than it is. Remember those tactical tank-busters, the “Davy Crockett” deployed? Updated and improved satellite retrievals of the temperature of the mid-to-upper troposphere (TMT) are used to address key questions about the size and significance of TMT trends, agreement with model-derived TMT values, and whether models and satellite data show similar vertical profiles of warming. A recent study claimed that TMT trends over 1979 and 2015 are 3 times larger in climate models than in satellite data but did not correct for the contribution TMT trends receive from stratospheric cooling. Here, it is shown that the average ratio of modeled and observed TMT trends is sensitive to both satellite data uncertainties and model–data differences in stratospheric cooling. When the impact of lower-stratospheric cooling on TMT is accounted for, and when the most recent versions of satellite datasets are used, the previously claimed ratio of three between simulated and observed near-global TMT trends is reduced to approximately 1.7. Next, the validity of the statement that satellite data show no significant tropospheric warming over the last 18 years is assessed. This claim is not supported by the current analysis: in five out of six corrected satellite TMT records, significant global-scale tropospheric warming has occurred within the last 18 years. Finally, long-standing concerns are examined regarding discrepancies in modeled and observed vertical profiles of warming in the tropical atmosphere. It is shown that amplification of tropical warming between the lower and mid-to-upper troposphere is now in close agreement in the average of 37 climate models and in one updated satellite record. UAH (v5.6 and/or v6.0b5) is so not in agreement with all other TMT datasets. Which sort of makes their new TLT = 1.538*TMT – 0.548*TTP +0.01*TLS (Figure 2 and Equation 1 of their most recent train-wreck, hmm, err, paper) totally effin’ bogus (and what is with the 0.01 TLS coefficient anyways, coefficients sum to one, but so what, that’s their “so called” lower stratosphere correction on TLT but not even a word on TMT correction due to TLS in said train-wreck). 14 hits one of them to SCOTUS even! Thanks to #6 Russell Seitz for the video of the whole occasion, which turned out a lot less ghastly than expected. A nice happy ending wth all witnesses agreeing their opposition to the Trump administration’s efforts to cut science budgets. Mann pretty good on the whole, had difficulty with those snowflakes Smith and Curry being ever so hurt that he’d called them science deniers. Such persecution of the poor things! 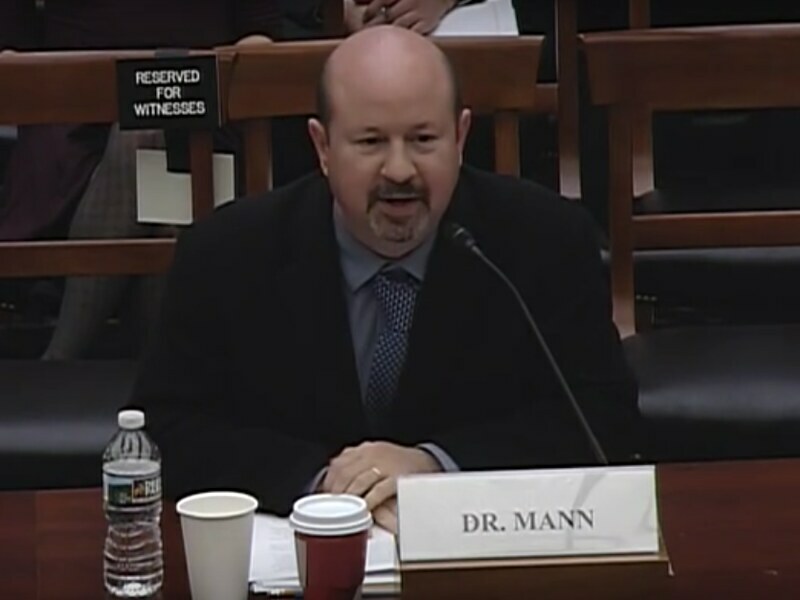 Mann missed a trick when hammering Curry’s uncertainty if as much as 50% of GW is AGW – there had been questions about the famous claim that “in the late 1970s scientists said we were going into an ice age”, he could have pointed out that we would be going into an ice age were it not for greenhouse gas pollution, and the IPCC best estimate is that AGW slightly exceeds the actual warming, due to natural forcings being slightly negative. I thought the SO2 comments maybe missed a point too. my understanding was that part of the ice age issue was a sense that the negative forcing due to aerosol pollution could be greater than the positive GHG forcing (which, I think, was before it was realised that the aerosols would precipate, while GHGs do not). There was then things like the clean air act that meant that the anthropogenic aerosols did not grow as much as they could have done and hence their effect was diminished. My knowledge of this period is not great, but it does seem like concern about something lead to some kind of action that then meant what we were concerned about did not happen. re ATTP #15, my recollection is that the SO2 comments related to the aerosols causing cooling, but they were in reply to a question about why legislation reduced SO2 pollution. Your comments look right, the legislation addressed concerns about acid rain, not about the climate impact. My initial report into yesterday’s “show trial” of climate models with Lamar Smith impersonating Cardinal Biggles. #17 Jim Hunt – good info, useful link to Mann’s written testimony and his reference to “climate science denier Judith Curry (I use the term carefully…)” which is accurate but probably tactically unwise as it gave an excuse for diversionary pearl-clutching by the deniers. Of course, if she’s got “sound science” behind her claim that human influence has caused less than half of observed warming – all she has to do is publish it in a reputable journal. Perhaps emeritus is supposed to excuse her from backing up her claims? Re t’mill, it was a large brick industrial structure, used as a drawing office in the early ’70s but now, alas, google streetview shows flats there. My memory is of it being like the second photo at http://www.dacorumheritage.org.uk/article/rich-history-of-site-that-gave-daily-bread/ showing Castle Mill or Knowles Mill, by the bridge at Lower Kings Road. Don’t recall any totem pole. That page suggests it was still offices in 2010. Speaking of “Red”, the person credited with leading a commission that coined the term “sustainable development” is Gro Harlem Brundtland. She is a VP in socialistinternational.org. This group was brought back to life after WWII by communists. A few years later around the height of the McCarthy hearings, they ‘disavowed’ communism. Socialist International states on their web site that they want nothing less than world government. Also love how the dems are shrieking about Trump’s ties to Russians (I didn’t vote for him) when it’s been the dems trying to get us more like the communist Russians since the days of FDR. “Is Nuclear Winter Real and Relevant?” . Carl declined to debate anyone , leving Steve Schneider and yours truly to take on the A in TTAPS Ackerrman and Robock. finding TTAPS too uncertain to justify a change in existing strategic doctrine or negotiations policy. Mark, Gro Harlem Brundtland did indeed lead a UN committee on sustainable development, but it most certainly did not coin the term. At best it provided a definition of sustainable development that is still widely used today. Gro Harlem Brundtland was the first VP of Socialist International, but that’s many decades ago, so it is rather contentious to take what is written now, and reflect that back to her (and through the commission to the concept of sustainable development). I’ll need a direct quote + link. Curry’s latest uncertainty publication seems to be 2011 in Climate Change, but she has a newer paper!! Curry, J. 2017: Climate Models for the Layman, thegwpf.org – is that to be the publishing house of the Red Team? When Academician Yuri Izrael , author of Nuclear Night Scientists’ Warning ran the honest-to-gosh Red Team for Chief Party Ideologist Boris Ponomare'ev , he would defend even the crudest 1-D GCM of catastrophic aerosoll cooling till he was blue in the face. Then rhw Ciold War ended, and at Lukhoil's expense , he took to singing the praises of CO2 induced global warming at Heartland Conferences. Now that’s a hard-working Dialectician ! Is feeling like some Stakharovite italics correction, Comrade Connolley? It is interesting that he mostly liked Pielke’s testimony. There were things he said that I thought were reasonable. I also do think the issues that he often discusses are interesting, and worth discussing, and am interested in the possibility of being able to do so in a less contentious way. On the other hand, I do think that he could be a little more careful in how he presents some of what he says. Oh yes: why this is a stupid idea. Well to start with it isn’t necessarily totally stupid, unless it is being run by a group of ideologues with a fore-ordained conclusion for which they’re desperately searching for evidence. I have an idea, why don’t we start an organization to investigate if climate change exists. We can call it the IPCC. Heh Heh Heh Heh. Dave #18 – Thanks for your kind words. As you’ve probably gathered I’m entirely in agreement with Mike Mann’s analysis of the Curry/Rose connection. I’m also entirely in agreement with you that waving the “denier” card in the faces of Curry and Smith in such a fashion was “tactically unwise”. As Steve Mosher put it at ATTP’s? “Please look for better spokesmodels. Amusingly, angech doesn’t seem to realise that the IPCC format was set up by the Reagan administration with government representatives getting the final say on summary wording to keep those pesky scientists in check. Mostly didn’t work the way they intended, though the 1995 SAR incident with Saudi Arabia and Kuwait battling over the wording until Bolin watered it down to “discernible human influence” showed governments getting their way. Even that resulted in vicious attacks on Santer by the fossil fuel industry CCC and Seitz in the WSJ. Don’t forget that “red team” in the US could mean Republican. Not sure that’s the best branding given the current circumstances. Stakha*n*ovite, Russell, although WMC doesn’t post often enough to qualify. Mosher’s concern trolling is boring. Deniers need to be called out for what they are. although the substance of what was wrong with RP Jr.’s arguments had been pointed out by many others prior to that (Joe Romm, most prominently). A tough assignment. My interest was in what Pielke said at the hearing. ATTP summarises the way Pielke minimises trends, doesn’t distinguish between detection and attribution, and “focuses on damage/cost without making it all that clear that a lack of a trend in these does not necessarily imply anything about physical climatology”. ATTP then gently suggests this is “a feature, rather than a bug”, but listening to the hearing what came over loud and clear was “no trend in disasters, so climate science is wrong and no need to worry”. The Republicans were quick to seize on that. The homepage includes links to “Publications”, mostly in the Grauniad, plus “Pielke, Jr., R. (2016). My Unhappy Life as a Climate Heretic, Wall Street Journal” which features in full in Pielke’s written testimony of his persecution, so can be read there. It also has “Weinkle, J. & R. Pielke, Jr. (2016). The Truthiness about Hurricane Catastrophe Models. Science, Technology & Human Values” which might be relevant but is paywalled. Odd that it doesn’t show up in his publications search. 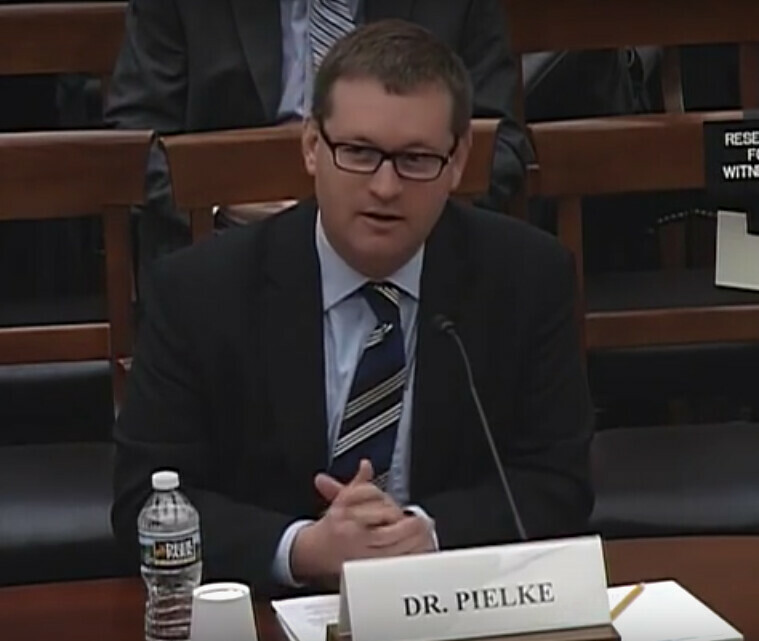 So, the written testimony has lots about how Poor Pielke was persecuted by Obama’s science advisor John Holdren putting an essay on the White House website in response to Pielke’s 2013 testimony to Lamar Smith’s committee, the trawl by Congressman Raul Grijalva (D-AZ) investigating whether Pielde, like Soon, had undeclared fossil fuel funding [apparently not, I seem to recall a Weasel criticising that trawl] and see also his WSJ “Unhappy Life”, about how the “climate thought police” took away his staff position on FiveThirtyEight. It also has the praiseworthy stuff, a brief reiteration of his earlier “call for a low but rising carbon tax to fund energy innovation”, so not really a surprise. He ends stirringly, with “the lesson is that a lone academic is no match for billionaires, well-funded advocacy groups, the media, Congress and the White House”, including the Trump administration. Which would please Chairman Lamar Smith. Appendix B, “An Update on Trends in Extreme Events in the US and Globally” is a powerpoint style presentation of “An update to my 2013 House & Senate Testimony”, mostly AR5 so not much of an update. Summary: Have disasters in the US or globally become more costly because of human-caused climate change? No. See the presentation for small print. So disasters are ok, as long as they’re cheap. Hmm, does that Mosher comment qualify as concern trolling in a Climate Etc. context? Probably not. I too liked it, though. “I am 100% in support of you and John Christy encouraging much needed “red teams”. That you were exposed to the vitriol by Mann and the media illustrates yet again how dysfunctional our profession has become. Unfortunately, Mann is just one of a number in the climate science leadership who act the same way that he does. OK, a typo, but given his stance toward settled scientific questions, why not? And why should mere non-existence be a bar to that? I’d point you to the Krugman/Romm deets, but I’m pretty sure I’ve done that before and you’ve now forgotten. It is sort of bad for your RP Jr. narrative. TBF, the change in his career focus probably had at least as much to do with KE’s rebuttal. Dave, after crashing and burning at 538, RP Jr. apparently took up the study of sports (which he had dabbled in previously). Having tenure, he was able to maintain his university appointment through the transition. Steve, interesting point, Since 2011 Poor Persecuted Pielke Jr. has become the director of the Sports Governance Center within the Department of Athletics at the Center for Science and Technology Policy Research at the University of Colorado Boulder. Quite a title! Wh`t is it about sports researchers? Benny Peiser is apparently a social anthropologist specialising in the environmental and socio-economic impact of physical activity on health. 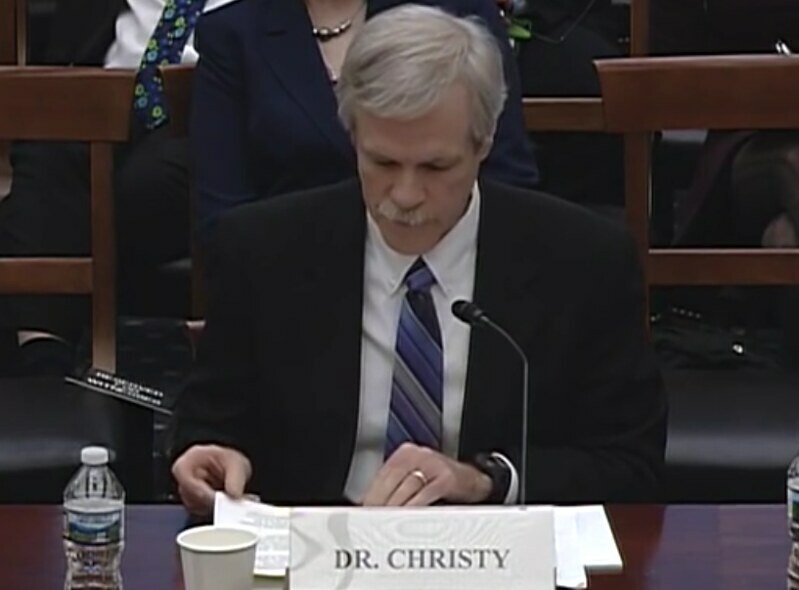 One difference; Peiser acknowledges that he is “not a climate scientist” and has “never claimed to be one.” Seem to recall PPP Jr. being presented at the hearing as a climate scientist, but haven’t checked. Speaking of postmodern academic antropology, If a quorum of non-Emeriti could be asssembled, and enough emeriti recused themeselves, it could be ( witness how BEST turned out) interesting to see what a 21st century JASON CliSci report might look like . Accompanying the materials is a cover letter from Lennie Jarratt, project manager of Heartland’s Center for Transforming Education. He asks teachers to “consider the possibility” that the science is not settled…. Why aren’t K through 12 students better versed in the geocentic theory of how the deflection galactic cosmic rays by the iron sun modulates CO2 emisssion by underwater volcanos ? A thorough, accessible, professional review of climate science is something I’ve raised as potentially beneficial, but rather than “Red Teams” I would be most pleased to see it done in the most public way possible by our peak science advisory bodies, like Royal Society and US National Academy of Sciences. By “most public” I am thinking Attenborough quality video presentation, with it’s enormous potential to provide graphic visualisations of climate processes, but done in concert with thorough, written, peer reviewed publications. I had in mind some introductions to these vital organisations, their practices and achievements as well as showing us much of the internal process of putting the review all together, ie from hows and why’s of selection of the experts doing the nuts and bolts reviewing, showing us the kind of people as well as the kinds of scientists they are. It’s not that I don’t think these institutions are letting us down; on the contrary. Yet better informing of both policy makers and public is clearly needed. Unlike this “Red Team” idea, that I strongly suspect would be a show trial by rejectors of climate science, with prejudicial intent to discredit I think RS and NAS and the like have the standing and public standing such a review truly requires. Is it time for some bad bee keeping? So does election stay on party political lines? Or does it become remainers voting against torys versus brexit favouring voters switching to torys? Could torys lose power? Could this fail to be reality check for Labour re Corbyn? Still time for good wood pigeon shooting then. A balanced enquiry into climate science might look a bit like homeopathy. Put a hundred publishing climate scientists in a room and you mightn’t find one contrarian. Michael Mann was taken by surprise. During the runoff campaign, a lawsuit was filed against Higgins seeking unpaid child support arrearages in the amount of over $140,000.00. Higgins was in a runoff for the 3rd District seat while facing a lawsuit for unpaid child support. In released tape recordings to his ex-wife, Higgins claimed that winning the election would help him to pay the child support arrears. Higgins has been married four times and has failed to abide by a Texas Court Ordered Child Support, thus the lawsuit filed for non-payment. To date, Higgins has not paid his child support debt to his ex-wife. His attorney is claiming that he is ‘busy’ now. He lives in Port Barre with his fourth wife, Becca Higgins. Maybe science needs to be represented by scientists who have retrained as lawyers. 1) The report claims that there is no tropical hot spot, even though the report did not address much of the scientific research showing a hot spot. 2) The report discounts CO2 as a cause of recent global warming, even though the report avoids discussing data showing radiative forcing from CO2. 3) The report uses a cumulative ENSO index and cumulative TSI that makes little sense in terms of atmospheric physics. A more plausible ENSO index and TSI undermines the report’s contention that ENSO and the sun caused most of the recent global warming. Furthermore, significant global warming remains even after volcanic activity, ENSO, and TSI are factored out, undermining the report’s claim that most of the recent warming is attributable to volcanic activity, ENSO, and solar activity. Previous Previous post: I am an Arctic researcher. Donald Trump is deleting my citations?